Loosely based off the U.S. Military's ACU but goes beyond spec with dozens of durability and performance enhancements. Every SWAT, SRT and special response unit needs a quality, full featured uniform and this uniform fits the bill perfectly. All T.R.U.® fabrics are manufactured in the U.S. in government approved factories and are recommended by the NTOA. Thanks, this item has been added to your cart. Click here to view your cart. Note – color shading will occur on products constructed of different fabric blends. To insure a matching set please purchase all shirts, jackets and pants in the same fabric. 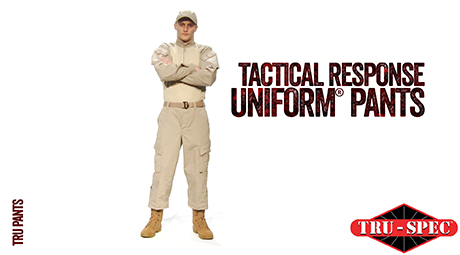 The Tactical Response Uniform® is the intelligent evolution of the BDU. Fit as expected. Excellent Quality! 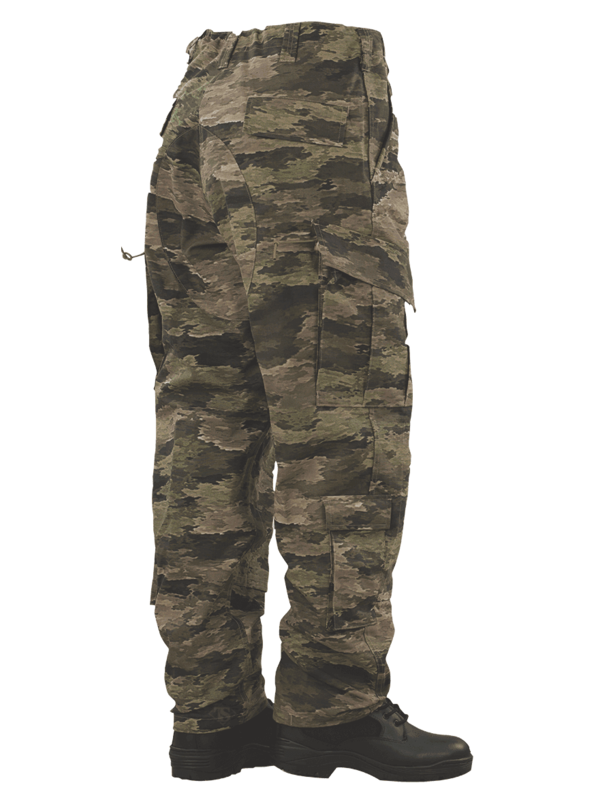 These are the best pant&#39;s you can buy especially for hunting. Tough, comfortable and plenty of pockets to carry anything you may need. I&#39;d wear these every day if I could ! DESDE ECUADOR DOY FE DE ESTA MARCA Y SUS EXCELENTES PRODUCTOS QUE FABRICAN EN CALIDAD Y ECON&#211;MICOS CON RELACI&#211;N A SU VIDA UTIL. These are the best tactical pants I have ever owned. Perfect fit with plenty of room to move during operations. Our previous uniform that was with another manufacturer was not this comfortable so thank you for paying attention to detail when designing the pants. No more pulling and tugging or plumber’s crack! Will be getting some more for hunting this fall. I have quite a few pairs of 24-7 pants and I love them for the trail year-round and for cold weather casuals, so I thought I would give the TRU a try. Sadly, the sizing was way off. The waist circumference and inseam length were technically accurate for a small-long, but I had to pull the waistband literally up to my chest... and I&#39;m a smidge under 6&#39;1&quot;. I think I&#39;ll just pair up a TRU shirt/coat (which I do like) with 24-7 pants. I bought a pair of woodland 2x large pants. I still have them after 5 years of intense usage, and they still look very good. They did not ever rip , the only thing that failed on them was the sowing ( after 4,5 years ) between the legs and 2 buttons cracked and broke ( after 4 years ). I am still amazed on how durable these pants are, i have never had a pair last me this long ( i&#39;m a pretty big guy ). First off this sight needs canadian provinces on it. On the pants they fit great however the area where the kneecap should be is slightly below where my knee is. The draw strings on mine are also uneven when drawn and come undone easily. Now on a positive note the pants are really comfortable and fit well. 4 out of 5. Would be 5 if not for the draw strings. The quality is outstanding, they probably shouldn&#39;t have lasted me this long and they&#39;re still in perfect condition after a washing. But I do have a problem with not being able to buy directly from the website. There&#39;s exactly 0 shops handling these ACU cut pants here and I don&#39;t like using ebay and amazon for stuff like this. Amazing pants, so durable and even better quality than issued ACU&#39;s by far. But getting them is a pain. Great pants, I love them. They&#39;re comfortable and tough. I have the nylon/cotton version, and the only downside is that they are noisy, so not suitable for hunting, or any other stealthy activity. Great pants. Sizing chart is way off. I have always worn a medium long BDU pant and shirt. Shirt fits perfect medium long. Pants are 8 inches to long. Good pants, but a little too roomy around the knees for my tastes. Would love them if there was a way to take up some of the extra slack in that area. Way too long. Order one size shorter than you normally wear unless you like the waistband around your chest. According to the size chart, I should be at the tall end of the med/reg size (5&amp;#39;9&amp;quot; 32&amp;quot; inseam), but the internal kneepad pockets are two inches below my knees and the chin pockets are at my ankles. The 24-7 pants fit much better. Good material and very durable but the size is way off. Medium long BDUs have always fit me perfectly, but with these they&#39;re about 4 inches too long, and if you don&#39;t want the crotch drooping halfway to your knees, you have to pull the waist up practically to your chest like an old man. They feel very baggy around the knees, like parachute pants. I&#39;d order a size lower, but we will see. They&#39;re a little pricey for that kind of experimentation. Make sure you&#39;ve tried a pair on in person. I love these pants. Nice deep pockets, very rugged, and the tiger stripe pattern blends great in a variety of environments. Fit and quality are outstanding. Solid and reliable products that work hard, feel comfortable & look great. One of the leading suppliers of uniforms and personal equipment to the military, law enforcement and public safety markets. Thank you for joining the TRU-SPEC® e-mail list. Look for the latest from TRU-SPEC® in your email inbox soon. Please sign in or create an account to save for future purchases.